Fila's not letting Vibram get all the fun with bare-foot kicks. The Fila Skele-Toes ($60) features a 4-toe design with EZ Slide that combines the last two piggies for easier entry, 4-way stretch, 3-ply nylon neoprene upper, lightweight midsole construction, high traction sculpted outsole, bungee cord entry and adjustable straps. 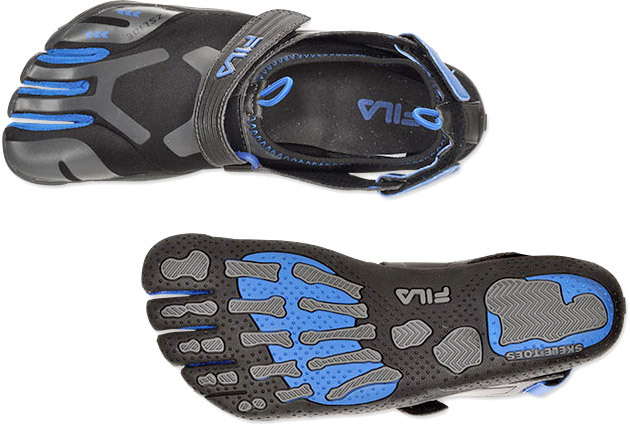 This form-fitting footwear allows the feet to move naturally and freely and is great for walking, running and hiking.